Chutneys are the main side recipe which is use in so many chaat recipes and snacks. I always keep both sweet and spicy chutneys in my deep freezer so that I can use them anytime. 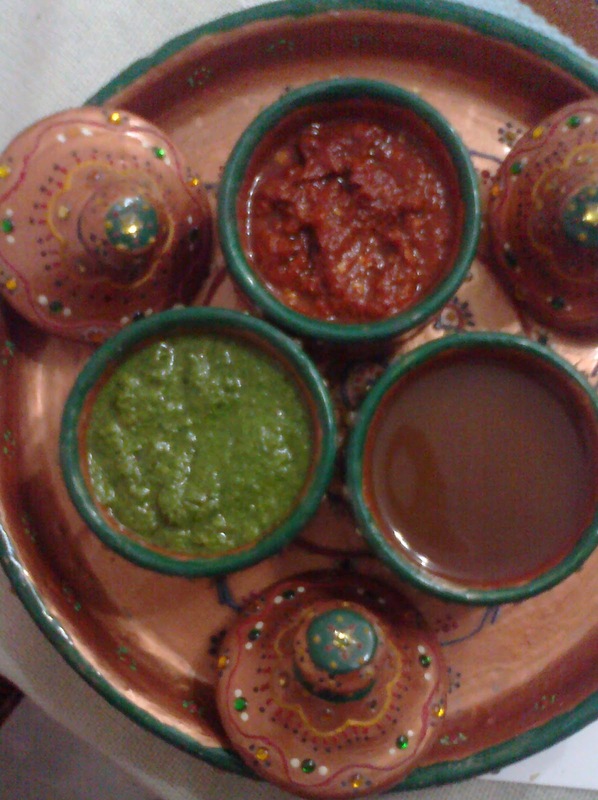 We are having different types of chutneys like sweet chutney, spicy chutney and of course garlic and kabab's chutneys. Normally everyone has different chutney taste. So here it's a normal chutney recipe for each recipe, you can modify them according to your taste. 1. Learn how to make Khajur Imli ki chutney - Sweet chutney. There are so many names of this chutney. They are sweet chutney, khati mithi chutney, Dates and tamarind chutney or khajur imli ki chutney etc. As it has a sweet and sour taste it may be perfect drizzle on the top of samosas, bhel etc. Soak dates and tamarind in luke warm water for 1 hour. Mix all the ingredients and crush properly. Strain and cook for at least 5 minutes after adding dry masala. 2. Learn how to make green chutney. As earlier I said it is called teekhi chutney, green chutney, coriander chutney etc. It is perfect to make snack spicy. Crush all the ingredients of chutney to smooth paste by adding sufficient water. 3. Learn how to make Garlic Chutney. It is also known as lahsun chutney or garlic chutney. Soak dry whole red chillies in warm water for minimum 10 minutes. Mix all the ingredients if garlic chutney and crush to smooth paste in a blender after adding some water. Try to add the least water, and add more when needed. 4. Learn how to make Chutney for Kababs. When we are going to a restaurant we just love kabab chutney. So, here it's a homemade recipe for that kabab chutney. Grind all the ingredients together to a fine paste with some water. 5. Learn how to make Coconut Chutney. This is a very famous South Indian chutney. We are used to serve it with dosa, idli, mendu vada etc. Even I like to serve it with bataka vada also. Crush all the ingredients of chutney together and make the fine paste. Heat oil in an another small pan, add mustard seeds and let it crackle. Add hing and curry leaves in it and spread over chutney.